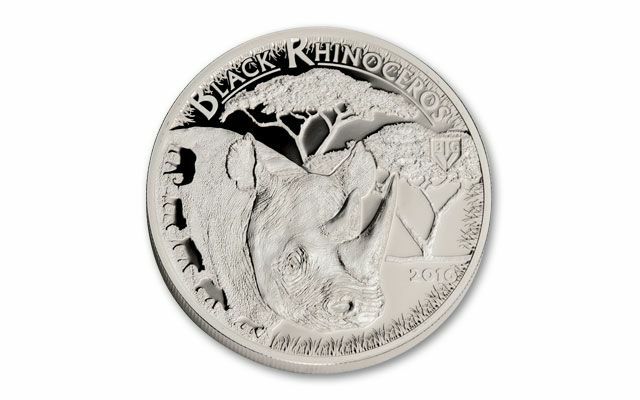 This 2016 Serengeti "Big 5" Black Rhino Silver Proof is a One-Ounce of 99.9% silver. 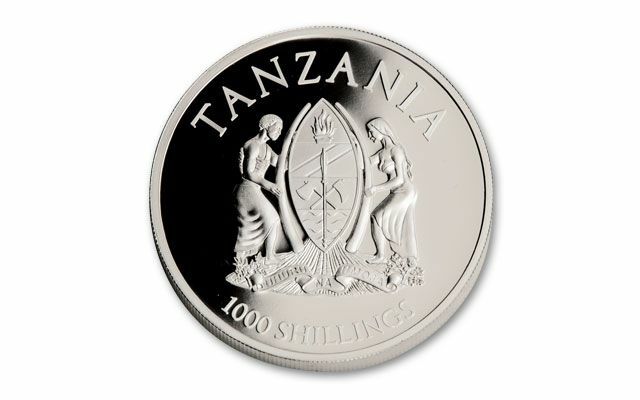 It's the third release in the "Big 5"series, and features the majestic African Black Rhino on the reverse and the Tanzania Coat of Arms on the obverse. Each proof is accompanied by an official certificate of authenticity attesting to each proof's fineness and legal tender status. A colorful and informative story card is included. Only 5,000 proofs have been authorized for release. This represents an exclusive opportunity for our customers. The designs featured on these proofs are truly stunning. 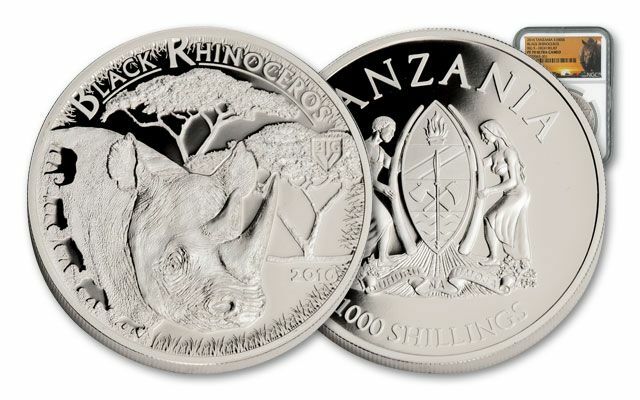 Struck in high proof quality, the main design is the head of a majestic African Black Rhino. Inverted silhouettes of the Big 5 animals are displayed on the border, along with high relief details of African acacia trees and Serengeti brush. The unique Big 5 (BIG V) logo is artistically shown in high relief, along with the 2016 date. 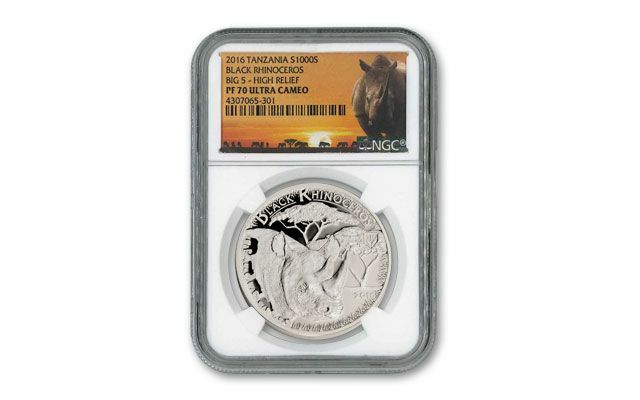 Secure this stunning perfect graded Silver Rhino today!